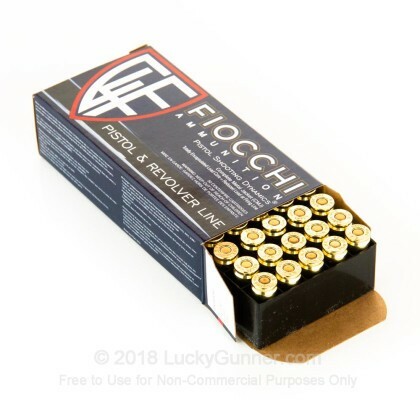 Fiocchi has produced a new line of rounds that utilize copper-plated projectiles that they call "Complete Metal Jacket" or "CMJ". 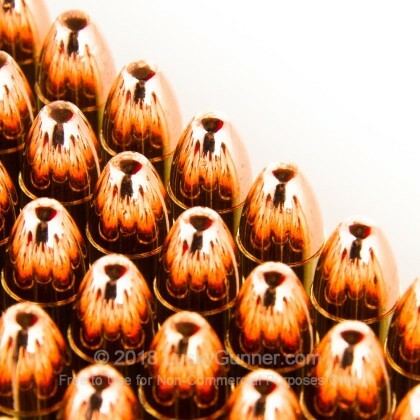 Because these rounds are totally encased in copper, they have no exposed base of lead which makes them ideal for indoor ranges. The copper plating technology allows for a thinner jacket to be utilized which lets them cut cost and pass those savings to you. 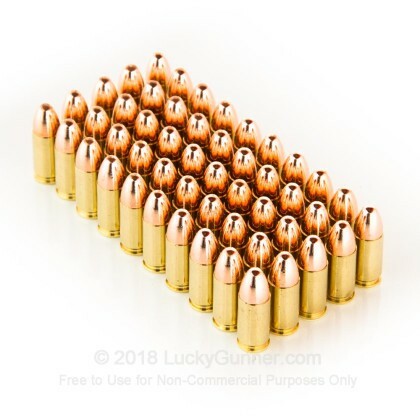 Grab a box or two of these 115 grain CMJ rounds to take with you to your next target practice in the range. 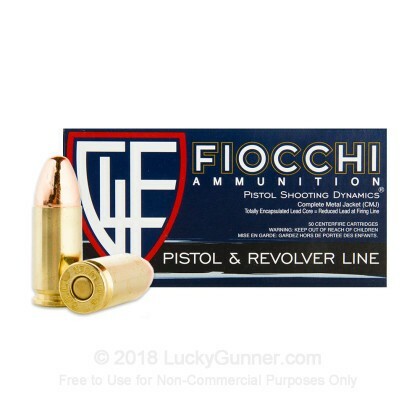 This ammo is non-corrosive and uses new production boxer-primed brass cases. Got good accuracy out of this 9mm out of a P-09, you can tell it's hotter than most 9mm, bigger bang but my pistol seems to like the higher velocity Target wise. Would feed my pistol again with this CMJ! 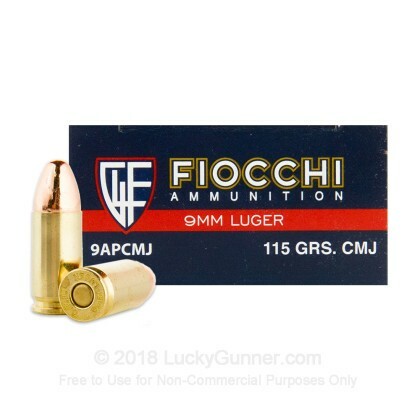 I have been using FIOCCHI 9mm 115gr CMJ brand. It fires cleaner than most bulk ammo or as good as Winchester and Remington. I have noticed that it is slightly Hotter than any Russian ammo. I use these rounds every time I go to the range and they always produce well! 10/10 would recommend! Not very dirty either! But you're suppose to keep your gun cleans anyways! 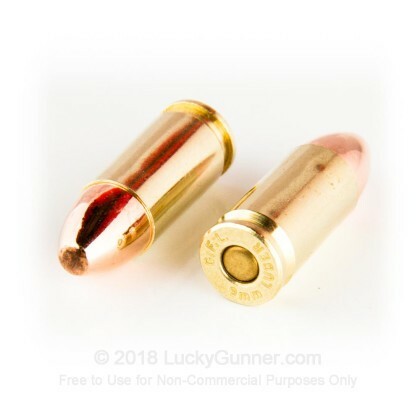 Q: Does this ammo have a lead free primer or a regular primer? A: This ammo will have a traditional primer.